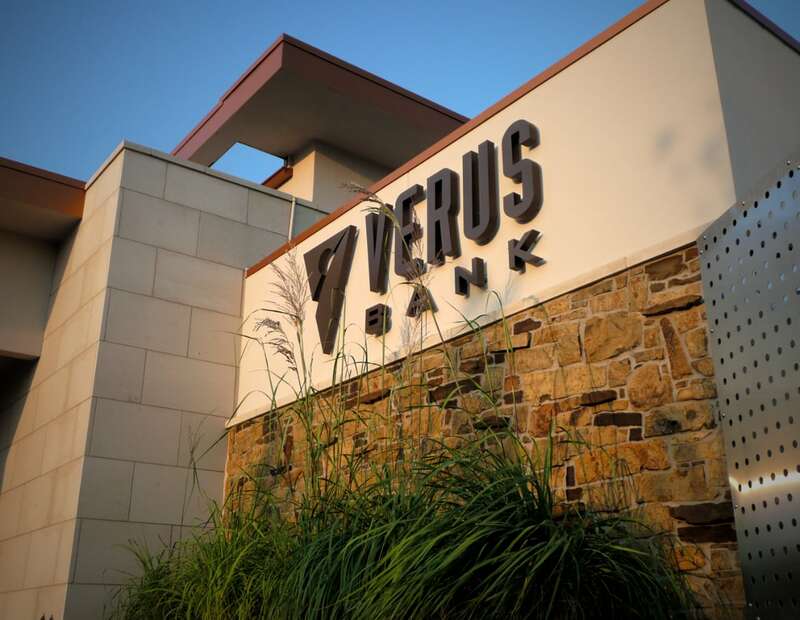 The definition of Verus Bank, true + genuine, intimately informed the design of this new branch building. 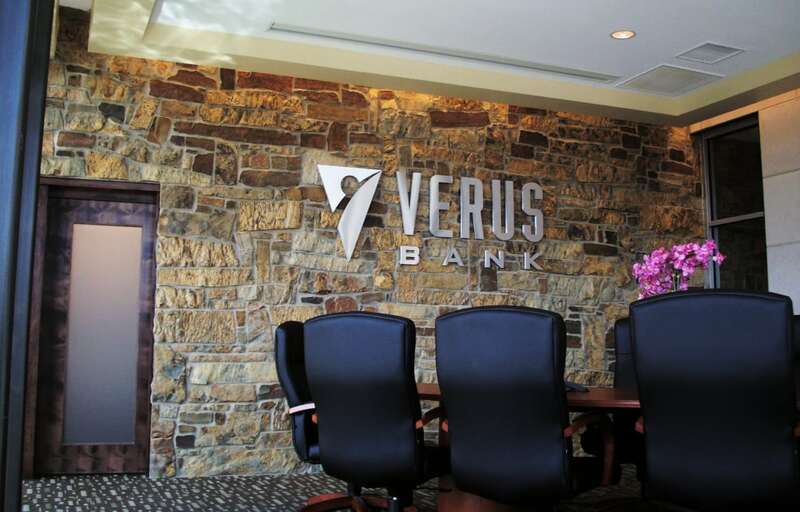 Verus Bank is a family owned, community bank with strong character and presence in the Kansas community of Derby. 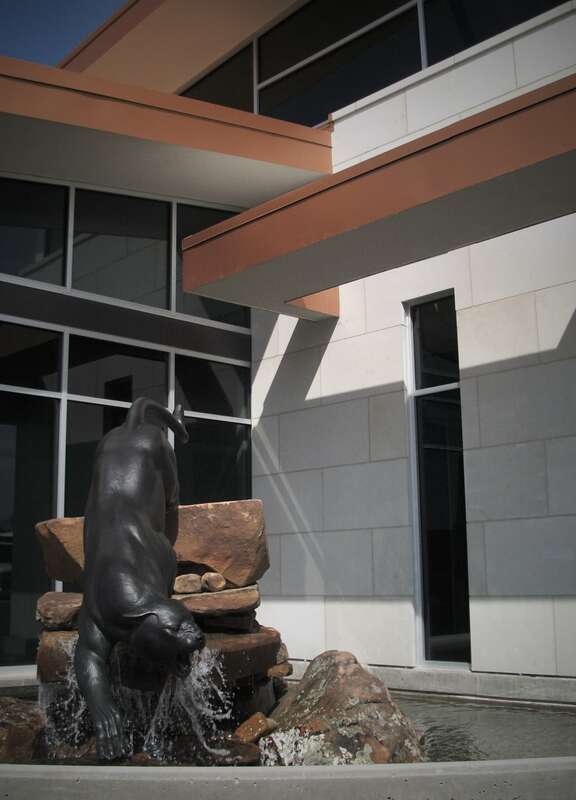 The people of the bank strive to do things well with a commitment to quality and excellence. 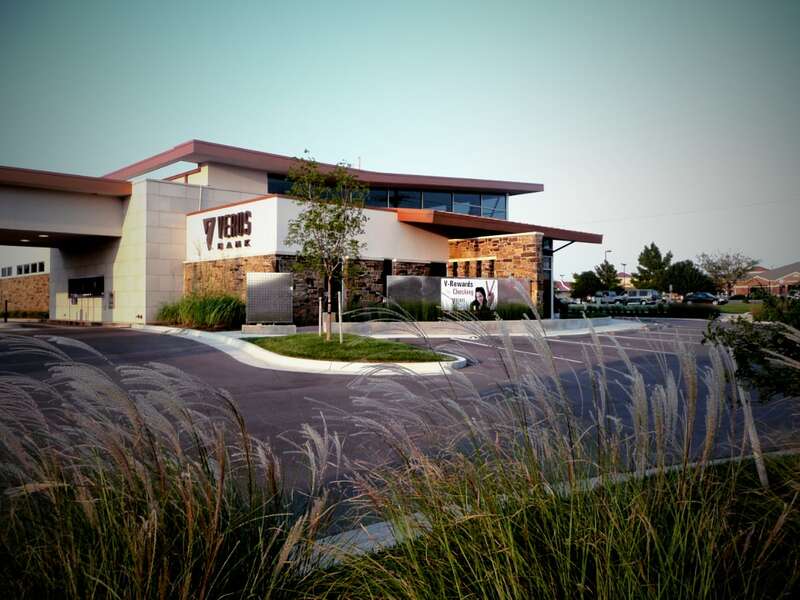 The employees and officers of the bank are leaders in the community and wanted to further the presence and commitment of the bank to Derby with this branch. 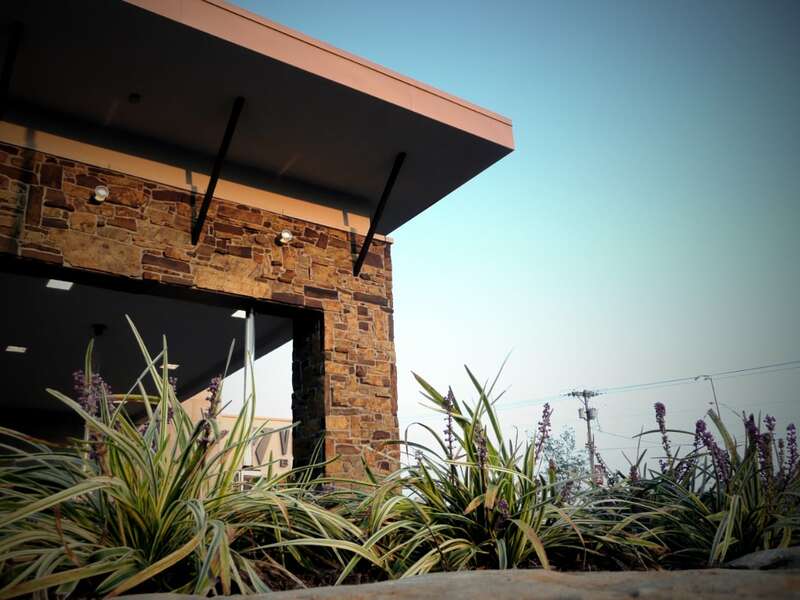 Spaces within the building are designed to inspire visitors + employees by the use of natural light, water and natural materials. 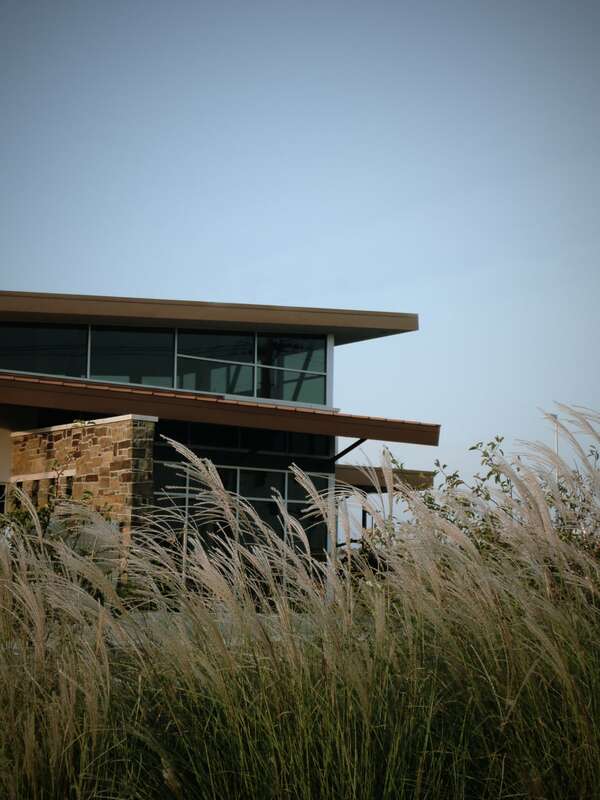 The building is a study in texture utilizing native Kansas limestone in large, smooth panels contrasted by rough textured and richly colored random stones. 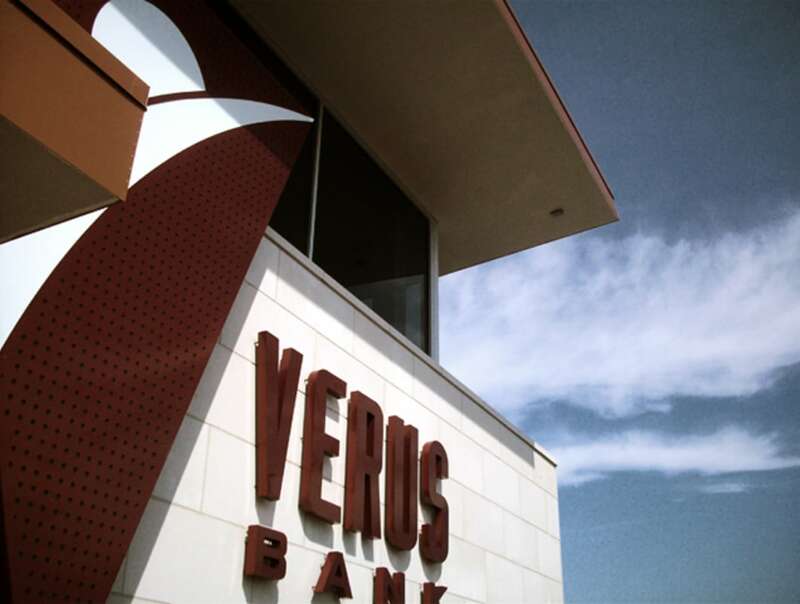 The copper colored roof is pulled directly from the bank logo colors. 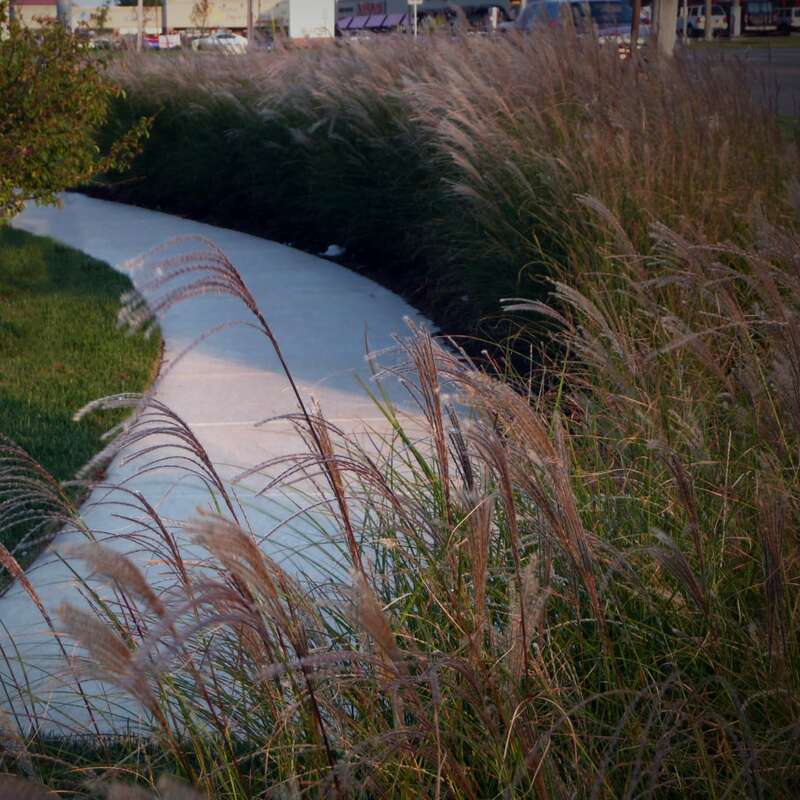 The landscape was planted heavily with native decorative grasses evoking a sense of the Kansas prairie. The trees were harvested from the Owner's tree farm on family owned acreage north of Wichita. 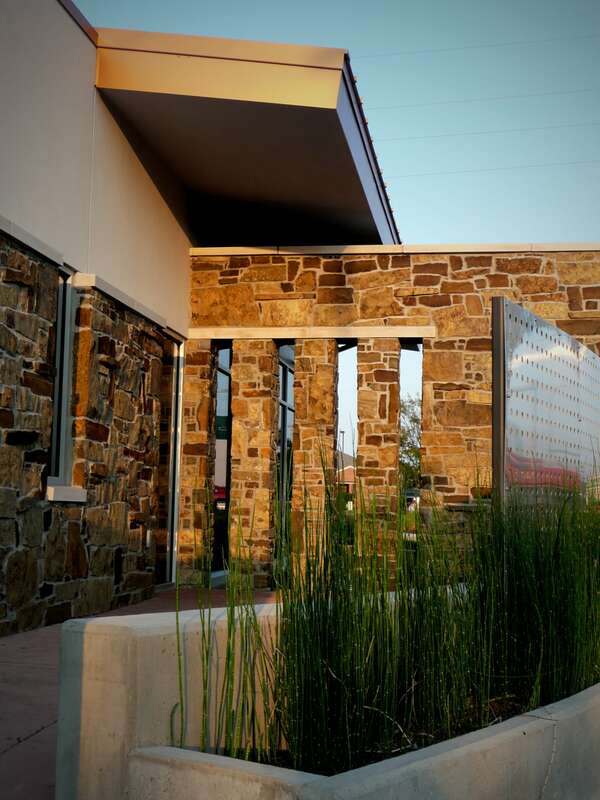 Not only was the bank a statement of commitment to the local community but also an acknowledgement of its Central Plains Kansas heritage.